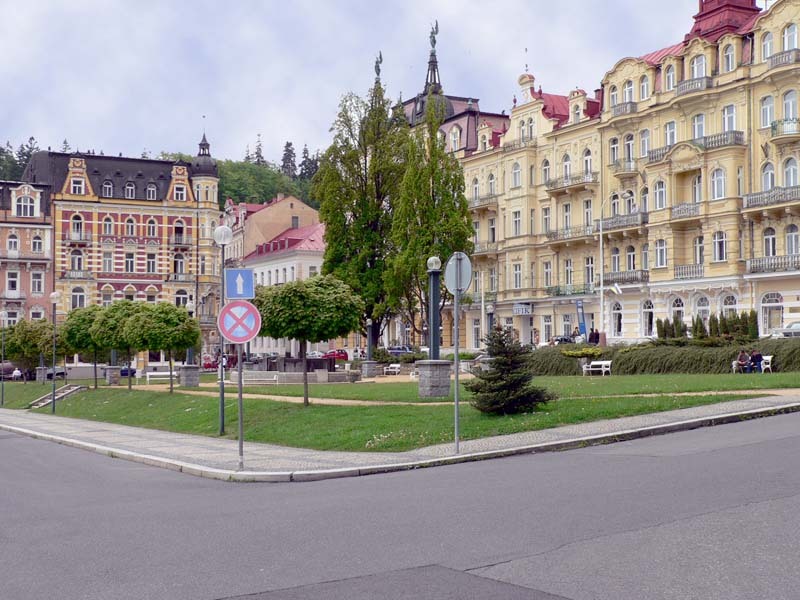 One of the biggest and the oldest spa towns in the Czech Republic, gained considerable privilege from King Charles IV in 1370. 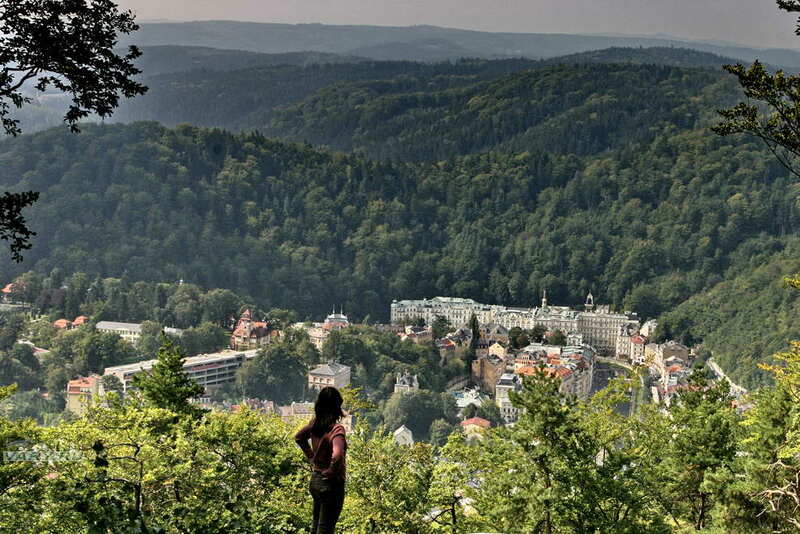 The biggest boom Karlovy Vary had was in the 18th century, when the gothic style of the spa town was gradually changing into more modern one. 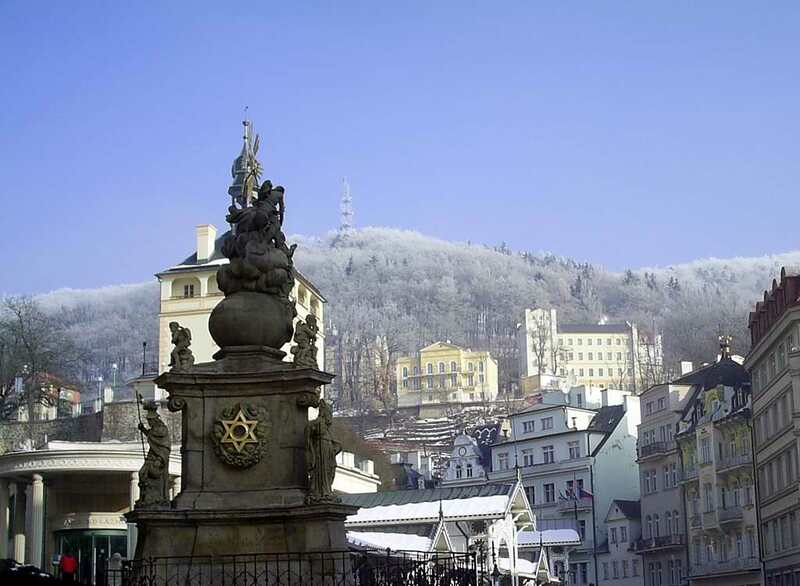 Especially crucial to the importance of the development of balneology in Karlovy Vary was Dr. David Becher, whose family stood beside others with the origin of the famous herbal liqueur Becherovka. 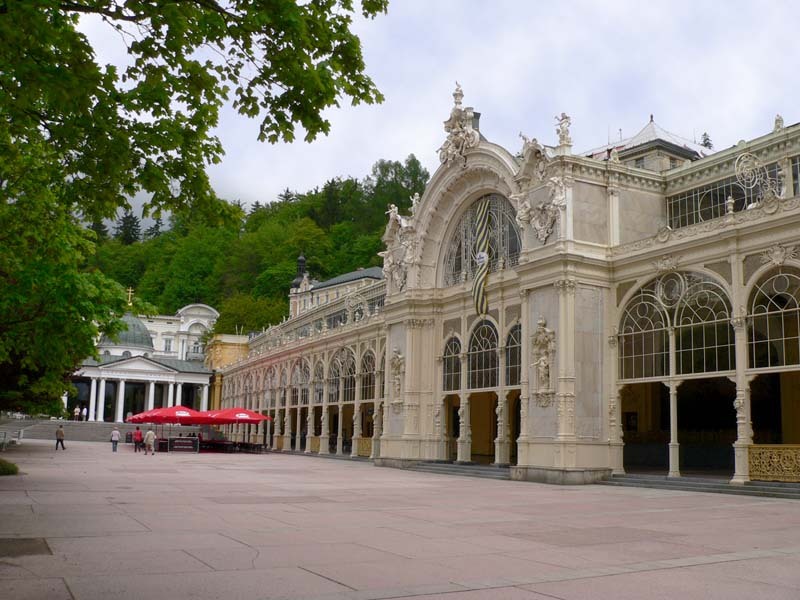 There are 13 mineral springs used for drinking cures and mineral baths in Karlovy Vary. 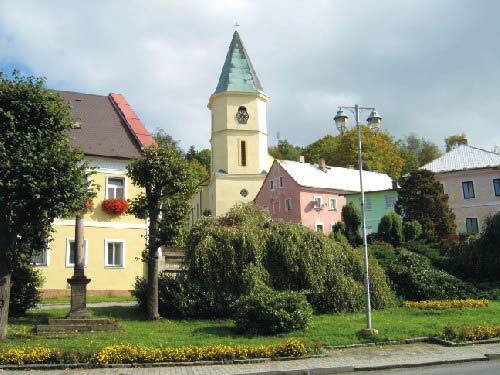 The most famous is Vřídlo – a spring of a of temperature 73 ºC, which shoots jets very high into the air. 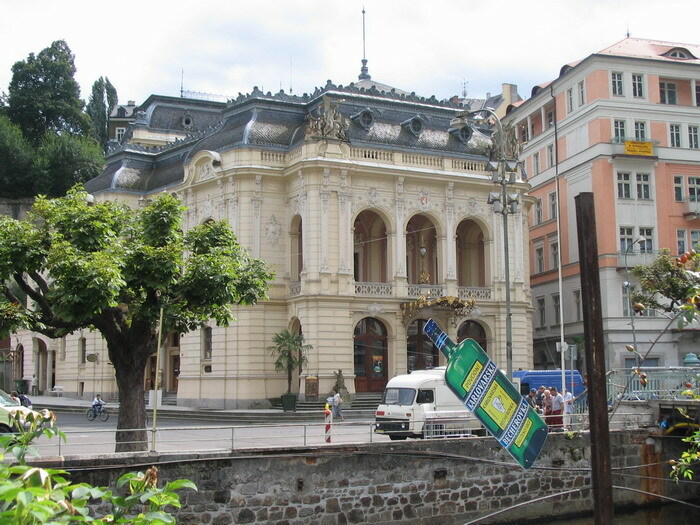 Every year Karlovy Vary is also a meeting place for film stars and film lovers who come to the International Film Festival. 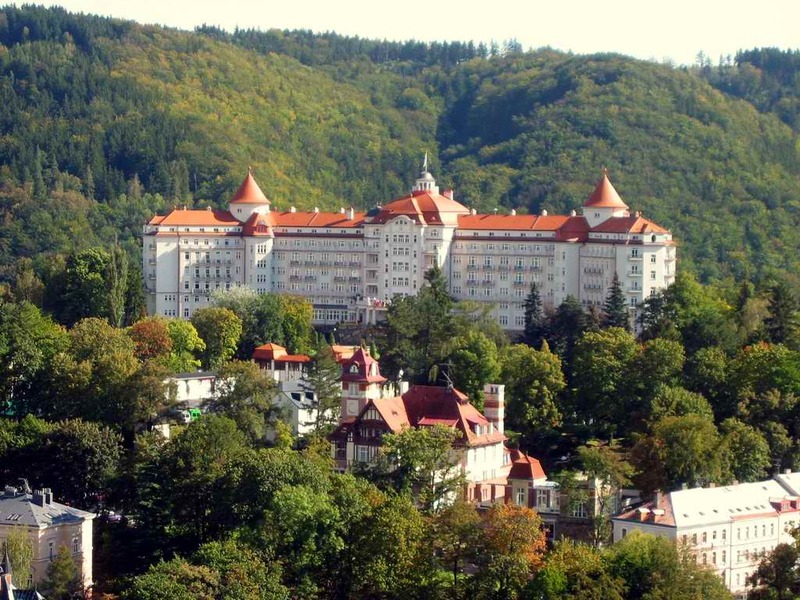 The town itself and the spa centre offer a number of walk routes in a pleasant environment of spa parks, which have already been praised by J.W. Goethe in 1820. 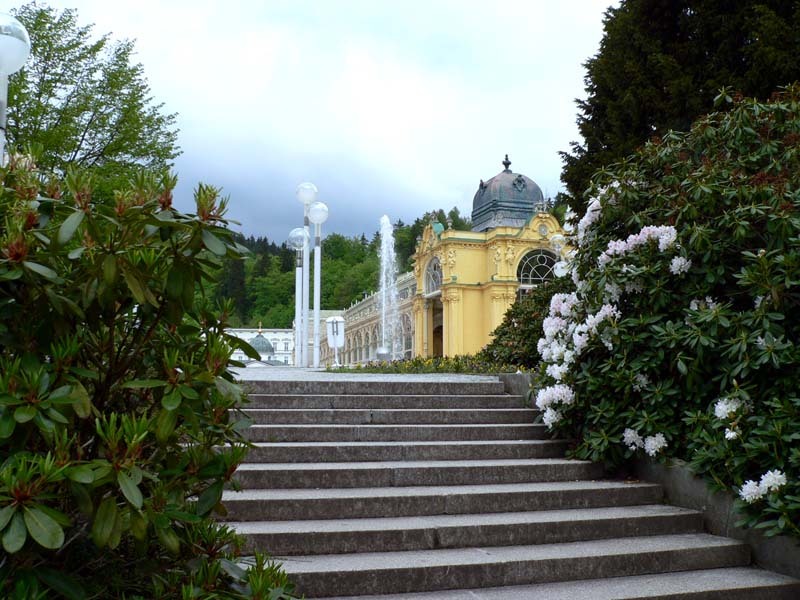 Among the most important monuments of the spa centre belongs baroque revival colonnade. 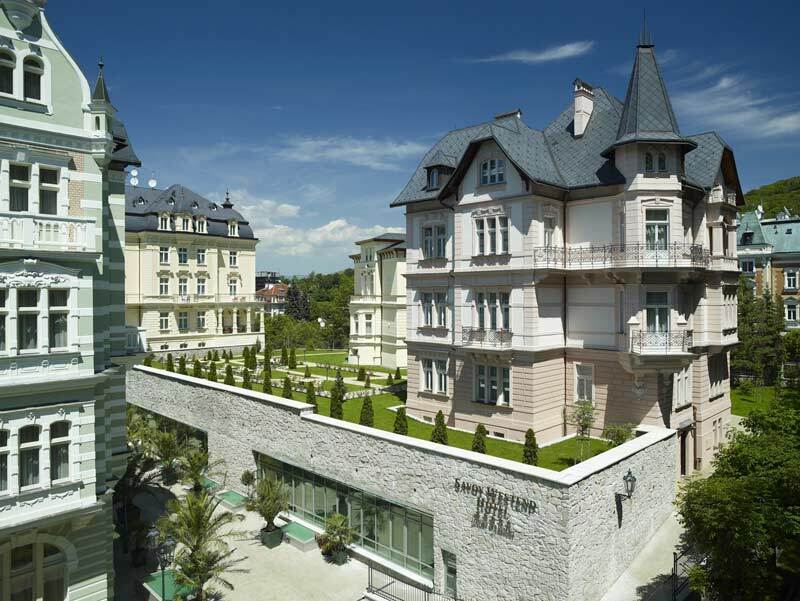 If you as are an admirer of architecture, you would be taken also by other buildings – the spa hotel Nové Lázně, the cultural and conference building Casino or the spa hotel Hvězda - Skalník. 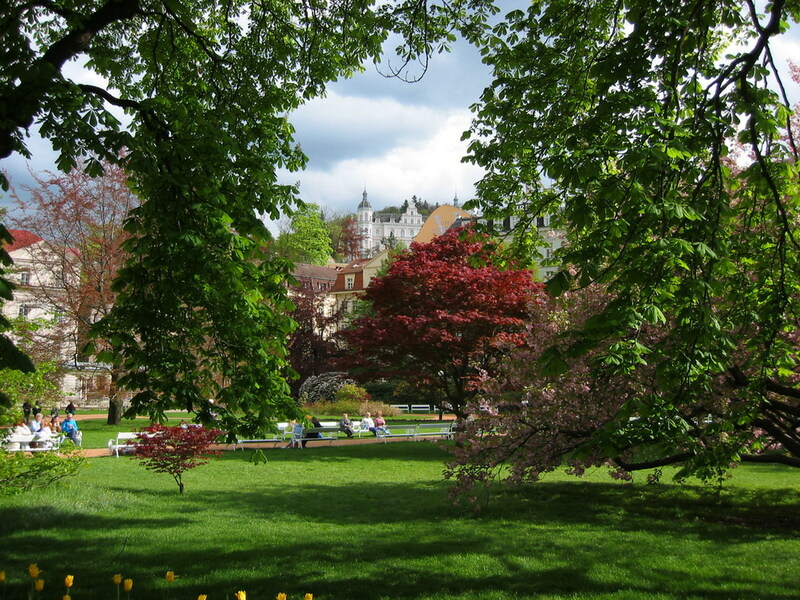 Also pavilions where rise the springs are solved in an interesting way and they belong to popular walk destinations. 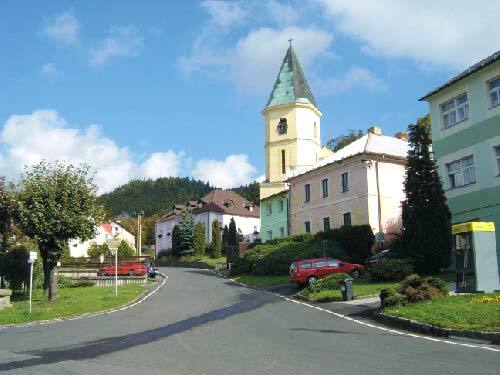 Nearby Pernink is located a medieval fortress with a slim cylindrical tower. 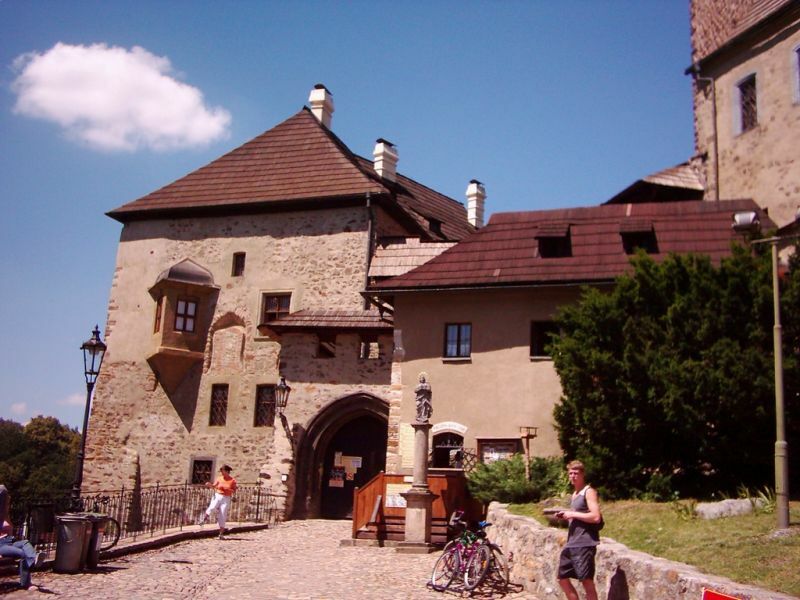 Loket castle served as a military fortress as early as during the reign of Přemysl Otakar II and during the reign of the Lucemburks it was a site of various international meetings. 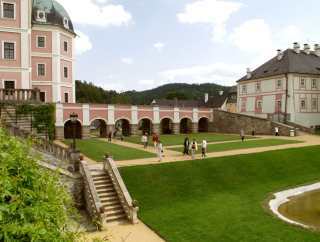 Nowadays there is a museum with a historical exposition within the castle’s premises. 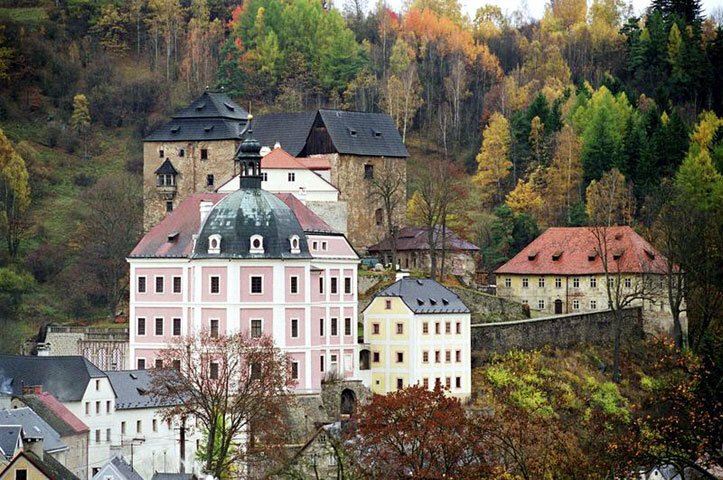 Loket was visited by many famous personalities, among them also by Johann Wolfgang Goethe. 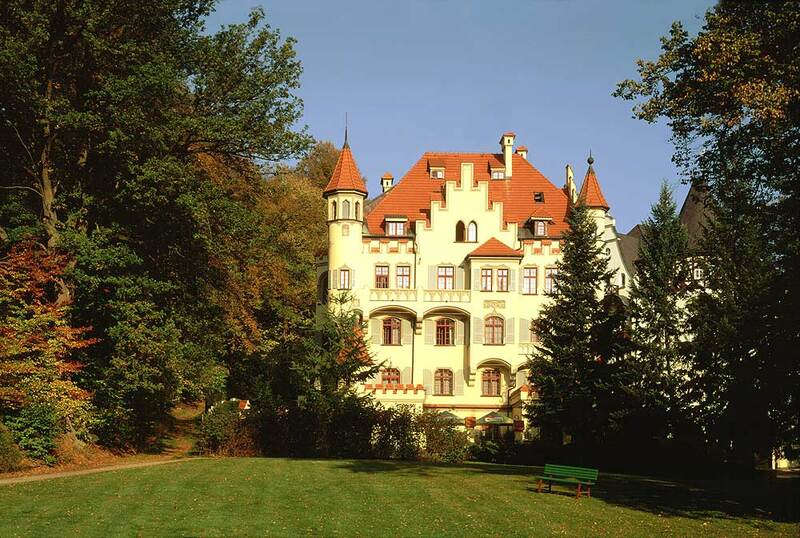 The most significant historical monument in the neighbourhood of Karlovy Vary is Bečov castl. 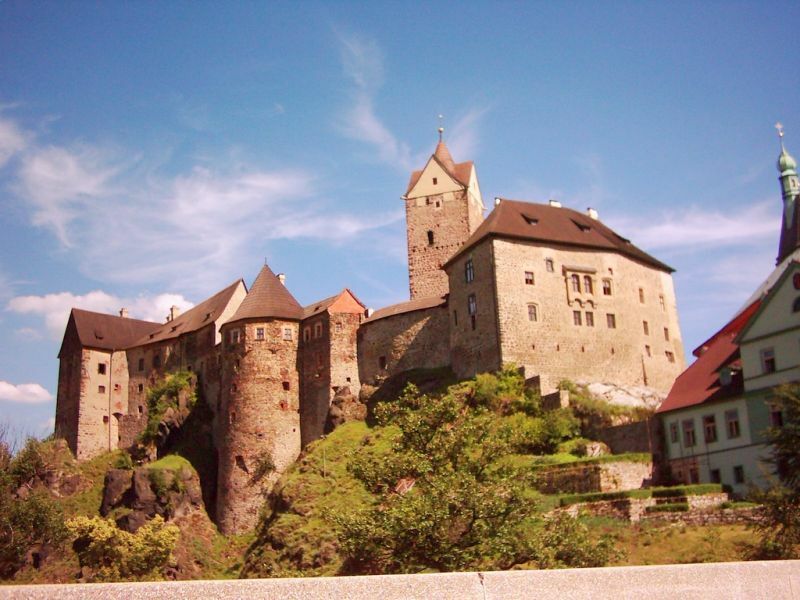 It is a medieval castle connected to a baroque chateau, which was founded at the end of the 13th century. 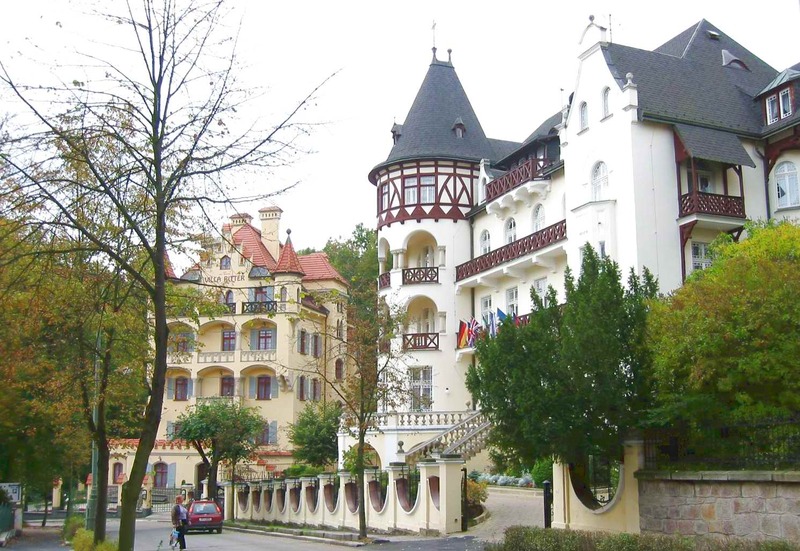 It was gradually modernised in the 18th and 19th century. Because of this there is a mixture of gothic and baroque styles in the architecture. An abundant amount of stonework details of gothic portals and windows have been preserved and together with parts of renaissance paintings in the residential tower. 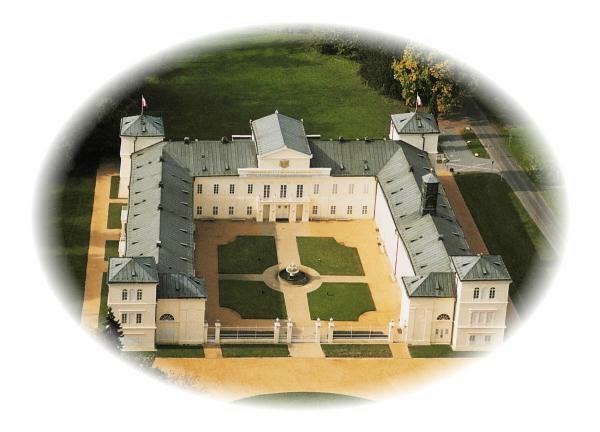 An older baroque building from the end of the 17th century was rebuilt in 1820 - 1833 for the Chancellor Klement Václav Lothar, prince von Metternich-Winneburg.